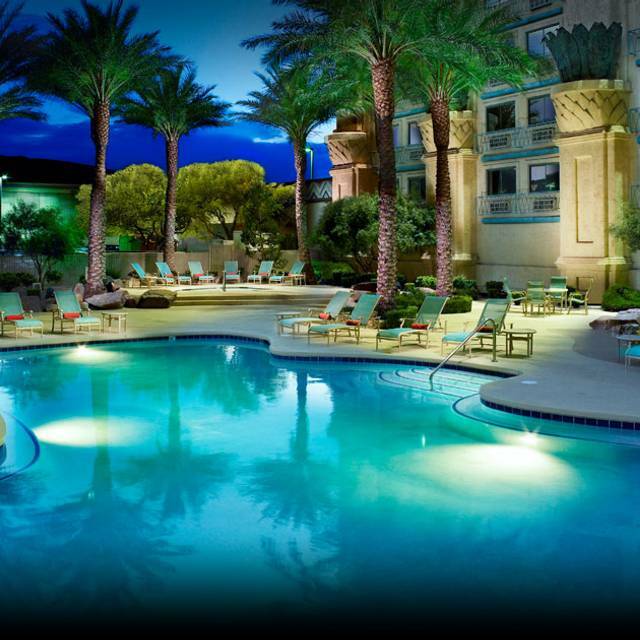 Hotel and Casino parking lot along with Valet are also available. Complimentary Valet. At our Coco Lounge located on our casino floor; Friday and Saturday evenings. Please contact our Room Manager for more information on catering accommodations. A Fiery Steakhouse. 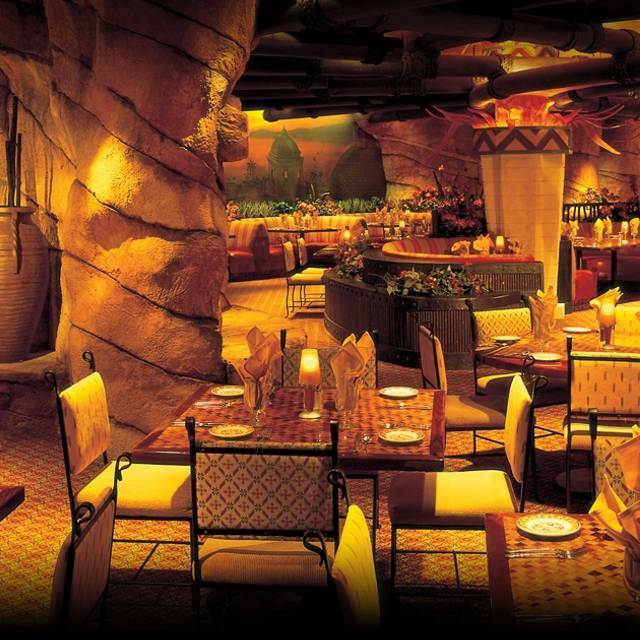 Fuego in Spanish means fire and that’s the atmosphere you’ll find at Fuego Steakhouse in Fiesta Henderson. 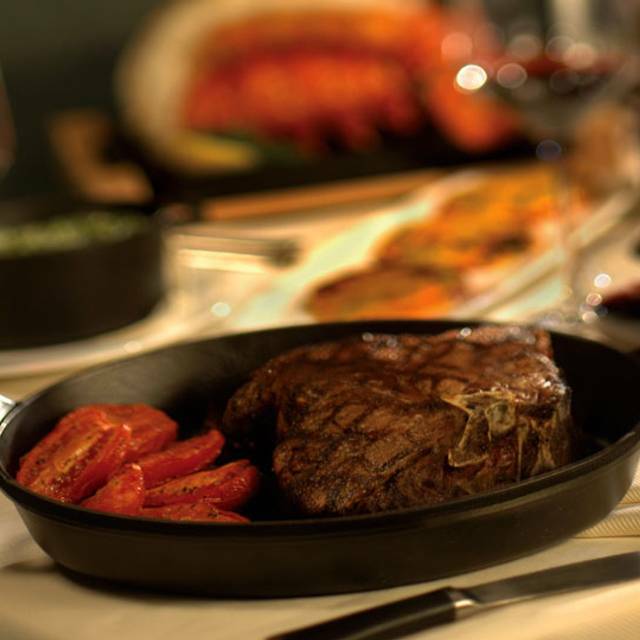 It’s hard to find steak that compares anywhere in Las Vegas at our prices. What kind of steak turns you on? New York, Porterhouse, bone-in Ribeye, or Filet? We have the best in town. Seriously. They’re all, seasoned and cooked to perfection. Complement any with Hollandaise, Béarnaise, peppercorn, creamy horseradish or garlic-cilantro steak sauce. It was a great meal and the stall was wonderful. Highly recommend to anyone. The food was good. Price is good. Our waiter Jordan was excellent. He gave good service with a smile and a good attitude. The busboy however, could have a better attitude. That’s why the overall rating was not 5 star. Fabulous steakhouse. I had a perfect well done steak the guy that does the music is perfect . Birthday for my wife. Much better than I expected. Excellent service and food was cooked to perfection. Scott our server was very attentive without being too much there. 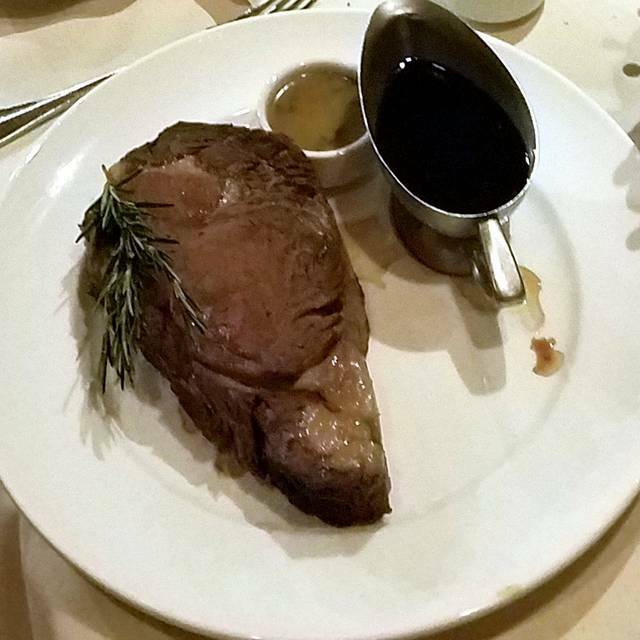 The chateau briand for two is absolutely delicious and a great value! 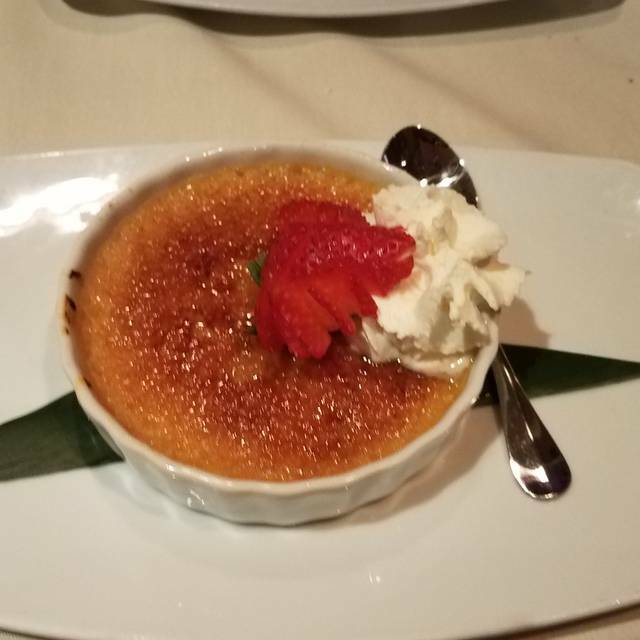 We are repeat customers who really enjoy the food and service. We highly recommend this steakhouse. Our waiter was mia for over 30 minutes. Had to wait over an hour for our food. It was worth the wait but would of appreciated some input from the waiter. As always the service and food was excellence. A little disappointed in the level of music. Need to tone down - people should not have to yell to be heard at the dinner table. Marc was our server and he is outstanding. Feels like you are in Mexico with decor. Food is very good. We had the prime rib sliders wich were very good. My husband had the shrimp & crab & I had the tableside salad with blue cheese. Everything was very good. Service was excellent. I will go back. Why go the a restaurant on the strip where you are going to pay double and get rushed out if you are not buying bottles of wine. My husband and I had the filet mignon and both dishes were done to perfection. We were not rushed but not forgotten either. Overall great experience. it was very good for what we had and the service was very good. Fuego is a nice gem of a restaurant inside a smoky casino. Their food is consistently good and they have top-notch staff. Our waiter Jason and the bus person were great. Ask for Fiona to be your Server. She has been at this location for years and knows how to take care of her customers. The table side chopped salad is fantastic. Always the first choice for great food and service. Some days reservations are a must. Smaller and quiet place that is not known by many and that makes it very a special secret. As a long time customer of Fuego's, I know many of the staff. Our server Scott was a newer staff member but did a great job. Onion soup was super salty, and had almost no broth just over cooked onions. We ordered 2 rib steaks my wife's had a nice taste but was full of nerves, mine was very dry and tough. both were ordered medium. The food was excellent, and the service outstanding. This is the second time we have been there, and both experiences were great. The food here is always delicious and the menu carries a wide range to suit most tastes. All our friends that we invited were so pleased with the food and service. It was rather loud when we arrived but settled down as the evening went on and other tables began to eat. We generally ask for Mark to be our head server and he was available to us. He is so welcoming and congenial. The interior is very nice without being snooty. So glad we have this option in Henderson. Great value for a steakhouse in Las Vegas. 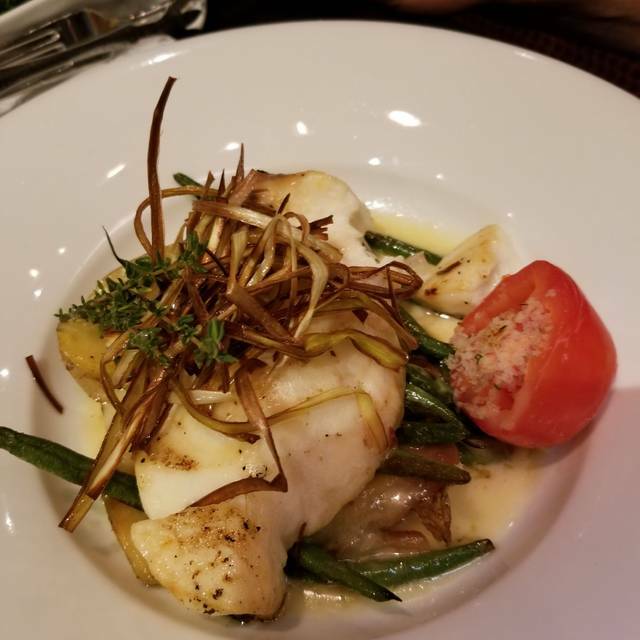 Excellent food and attentive service. Surprisingly nice restaurant located inside the Fiesta. We have visited Fuego numerous times. We always enjoy our dinner the. 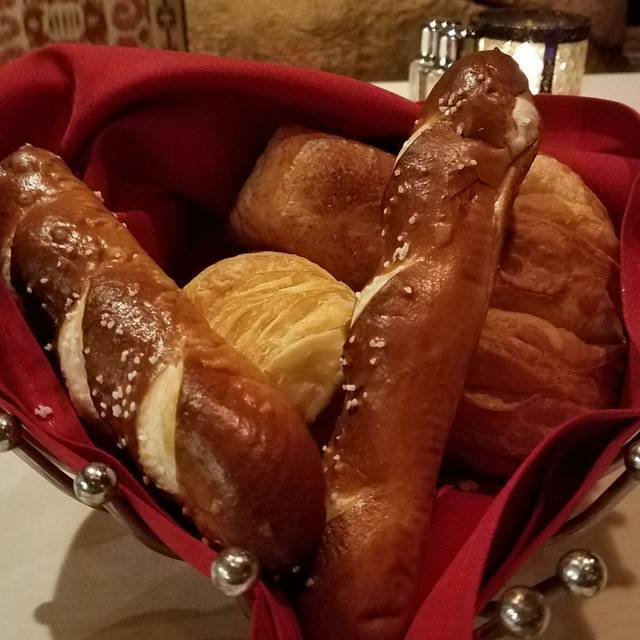 We love the pretzel bread and baked sweet potato. Great menu with cooked to order entrees. 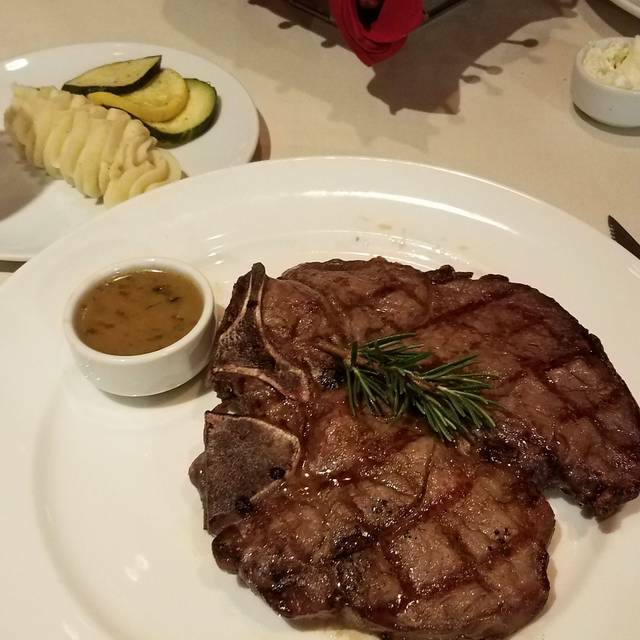 Fuego is our go to steakhouse. We greatly enjoyed the evening. The service was impeccable, and we were visited severally times by the manager and waiter to make sure everything was fine. We loved the entertainment, with the staff sometimes joining in. We will definitely be going back! Everything was great, will be back again. Breads were fab. We are trying to watch our food intake - next time we would just share the potato that comes with the meal. Just to big. Was there for dinner for Valentine’s Day and the service wasn’t that good. Went there again on Sunday, 10 of March it was very slow hardly anyone there our dinner was at seven. Went there for a business dinner took one of my clients. But the waiter messed up on our order and my client ended up receiving the wrong Dinner. The waiter did not take the correct order. And so well we had our dinner she had to wait for her state that she ordered. Only for it to come to the table very under cooked. I was very upset very embarrassed of all people for it to happen to why my client. She ended up eating her spinach that she ordered as a side dish while we were having our steaks. And they only offered a piece of cheesecake to her for the mistake. This is now two strikes in a short period of time . I may try it again one more time but if they mess up my order again that will be the last time I go there. Three strikes and you’re out. 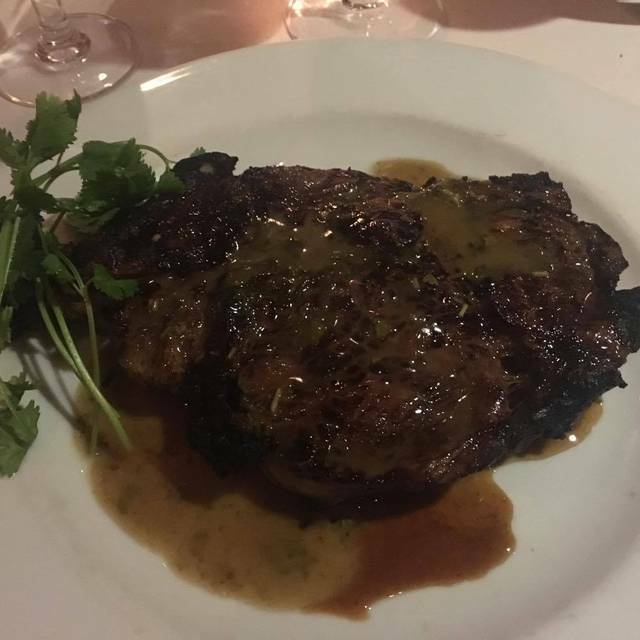 We have dined in many high end steakhouses and this one holds its own with the best. They were very, very conscious of our allergies and had the chef come out to review our concerns. The lamb chops were absolutely mouth watering delicious, as was everything else. Excellent food, as always. Excellent service. What more could you ask for. Been coming here for years. Best around. Bread wine and food were excellent. I had the lobster and it was great and a good deal. Husband had a steak and said it was wonderful. Definitely will go back. Prices were really good for what you got. Great steakhouse. Mark our waiter was perfect,great service. Salad was excellent, as was our porterhouse steaks. Sides of spinach and Mac & cheese were delicious. Great value, we cannot wait to go back. The food was good ,but part of my order did not arrive with everybody else's. The service was SLOW and it was a week night and not busy at all. We were there to celebrate a birthday. The service was very slow, one person was almost done eating before their side arrived, I was never offered a second drink, the twice baked potatoes used to be cheesy and delicious but they were just mashed potatoes back in the skin and browned, the former popovers that were so awesome had turned into layered buns like from a can and no one ever acknowledged my husband’s birthday! This has been my gavorite spot for a long time. Family came to town so we brought them there. The waiter got one of the dishes wrong. Gave use marsala instead of piccata. Sent back marsala and when piccata came out it was terrible and had to send back again to be removed from bill. We were embarrassed for taking our family there and got this kind of experiance. Out group of four ordered steak and lobster. The lobster was about the best I've had in years. It was perfectly cooked, succulent and tasty. Loved the gentleman entertainer. So versatile and talented. Our server Jose who we requested was caring and professional. Wouldn't hesitate to return for another fabulous dinner. Food was good, wasn’t served as hot as it could have been. My father’s fish was a little dry. Prime rib was good. Service was outstanding, if a bit slow but we didn’t mind, it was busy. Ambiance is good, not so loud we couldn’t hear each other but the decor is a little dated. Overall good but a bit overpriced and food could have been hotter.